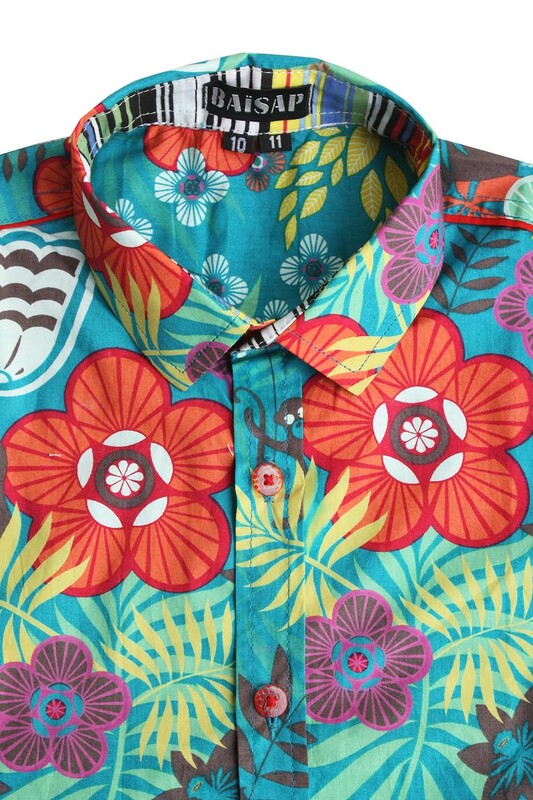 Boys hawaian shirt, short sleeve, made out of light cotton. Jungle print on turquoise blue background. Flowers, butterflies and monkeys ! Stripes on collar and sleeves lining.